The writing community is fortunate to have many great resources. 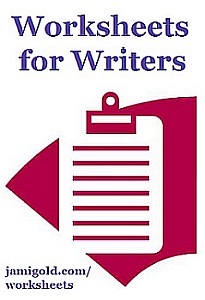 Based on things I learned from phenomenal teachers like Larry Brooks, Michael Hauge, and Martha Alderson, I developed these worksheets* to help all writers, from plotters to pantsers (those who write by the seat of their pants). 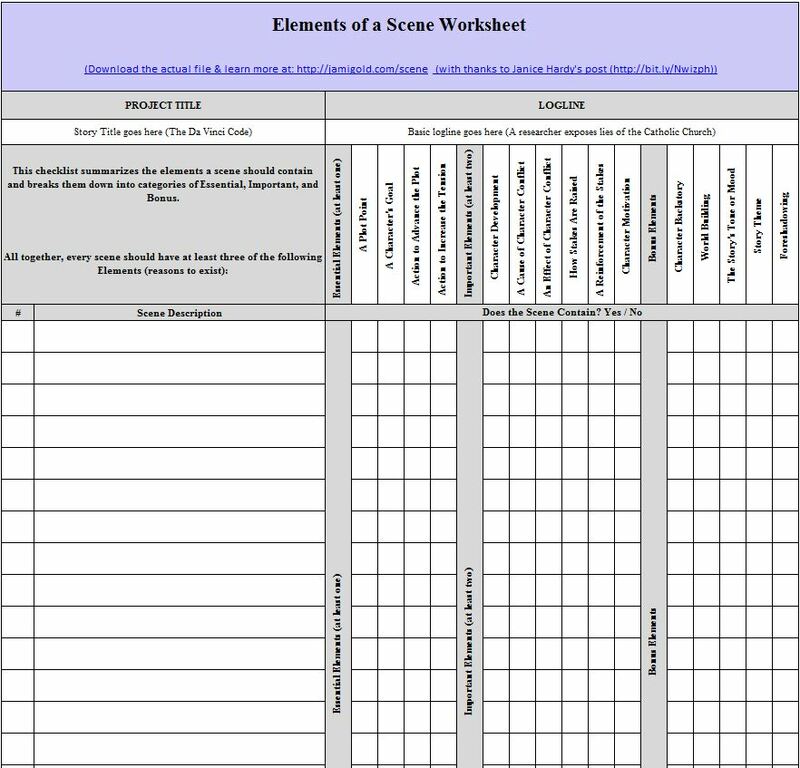 Let me know at my Contact page if there are other worksheets you’d like me to create. Sign up for my newsletter to receive my blog posts and hear about all additions I make to this page. * With the exception of the Save the Cat Beat Sheet, which was developed by Elizabeth Davis, all worksheets were created by Jami Gold. If you’re not familiar with beat sheets or how to use them, check out my Beat Sheets 101 post. I share MS Excel tips and explain how to read the columns and numbers. I also have posts with tips on how to find your beats, how to know where to place them, and how pantsers can use beat sheets too. Need examples? K.M. Weiland’s Story Structure Database breaks movies and books down to their basic beats. NOTE: I love sharing these worksheets, but if you give others the direct links to the files, the links won’t work. Bring others to this page instead, and they’ll be able to download all they want. Thanks! Want to Thank Me for These Worksheets? Stay Updated with Jami’s Book Releases and Blog Posts! Want to hear when Jami’s books come out and get pre-order sale prices? Select “New Releases and Freebies” in the form below. Want to hear when Jami adds a worksheet to this list? Use this same form and select “New Blog Posts” to receive copies of Jami’s blog posts in your email too. 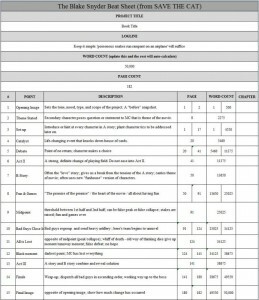 Elizabeth Davis created this spreadsheet based on Blake Snyder’s Save the Cat writing craft book. 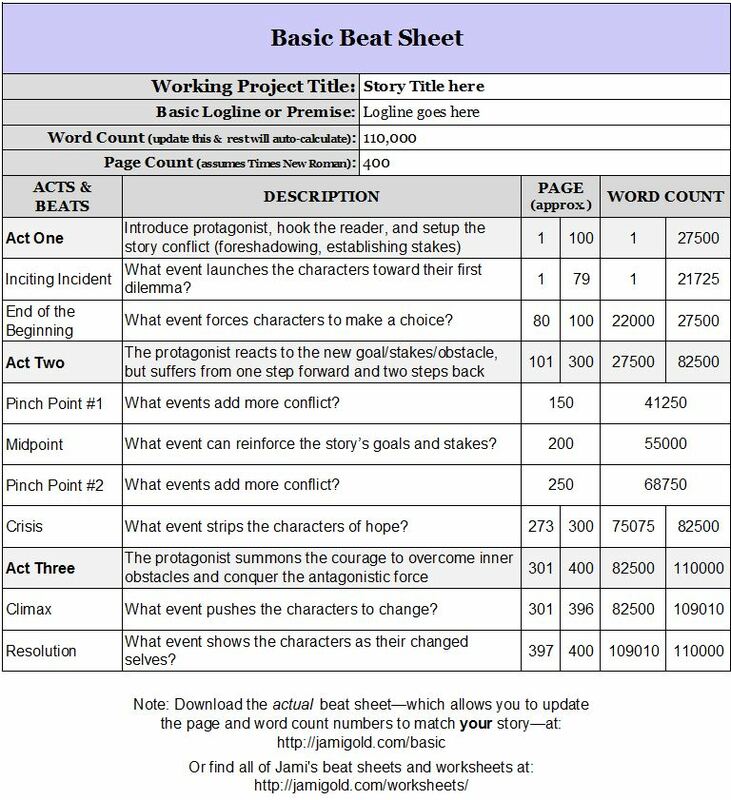 His beat sheet is great for organizing a story during drafting or revisions, and this spreadsheet makes the process easier. 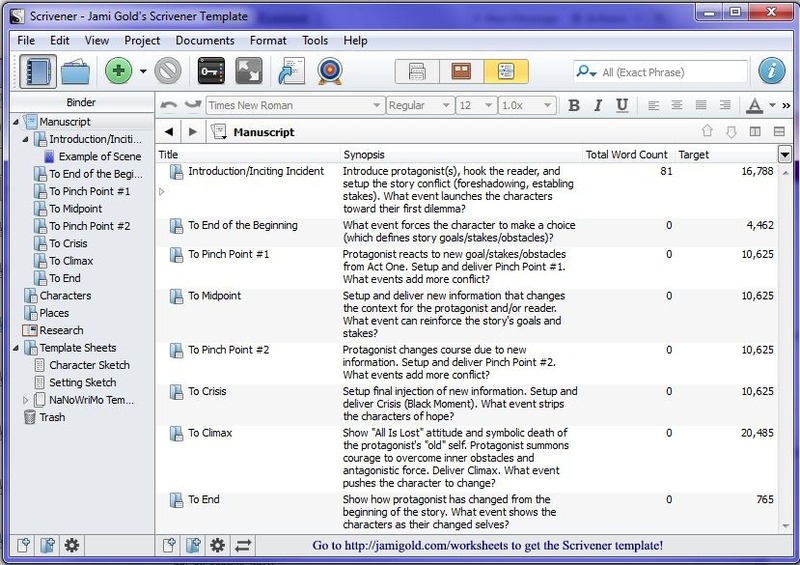 I talk more about how to use the Save the Cat spreadsheet for revisions here. Note: Elizabeth’s website sometimes has connectivity issues, so if the link above doesn’t work, you can find the .xls version of her beat sheet mirrored here and the .xlsx version of her beat sheet mirrored here. 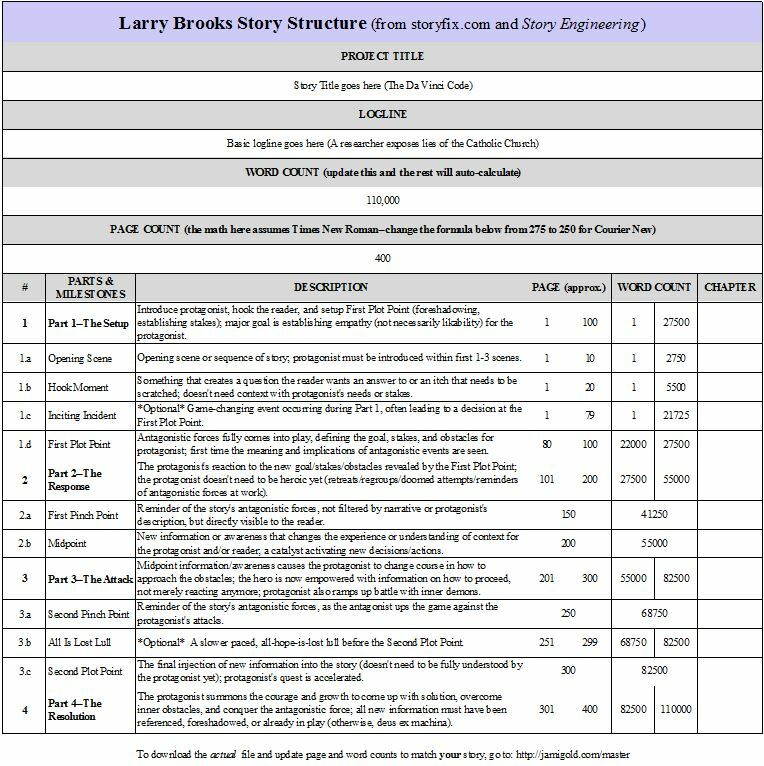 Inspired by Elizabeth’s spreadsheet, I decided to do the same with Larry Brooks’s story structure from Story Engineering, using turning points (plot points and “pinch points”) in the proper location to make the strongest story. 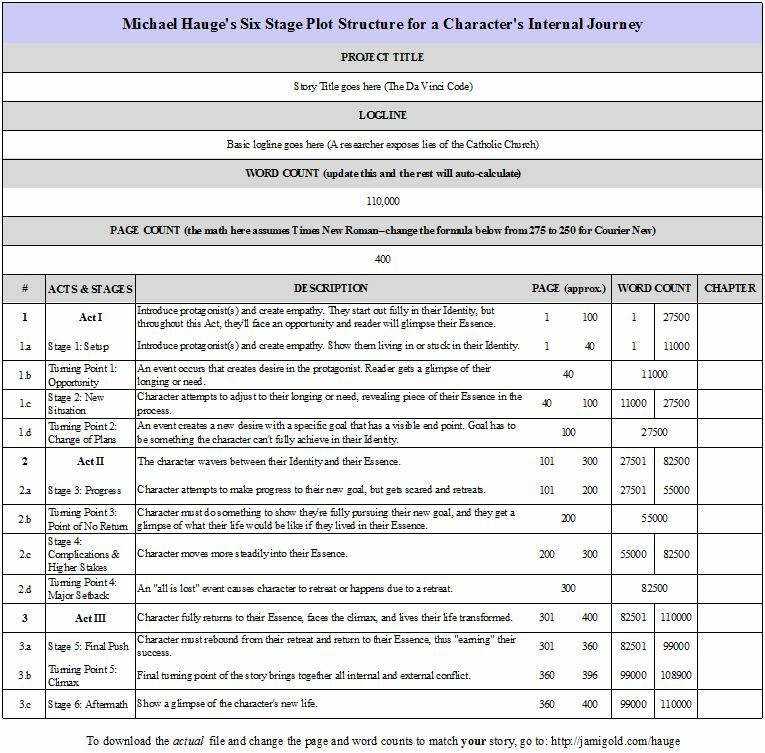 I talk more about how to use the Story Structure spreadsheet here. 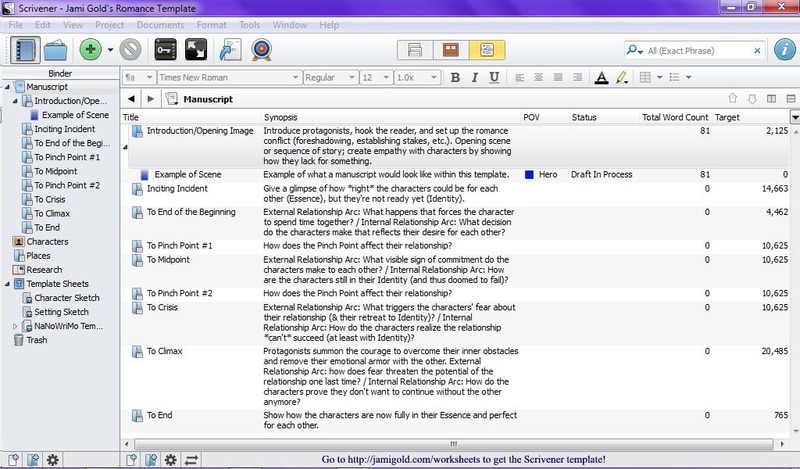 Note: Click here for Scrivener import instructions. so scroll to the bottom of the link for step-by-step help. 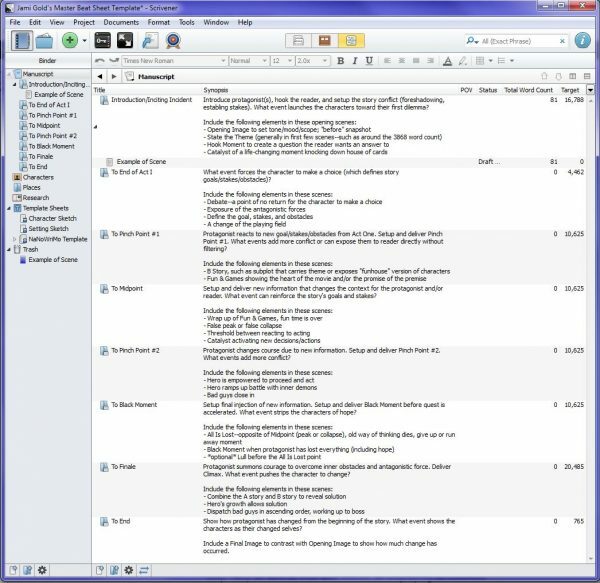 To ensure our scenes aren’t too heavy with info dump or backstory, we should include at least three major elements in each scene. This is a simple checklist of the breakdown of potential elements by level of importance (as Janice Hardy explains here). I talked more about these scene elements and why we should pay attention here, and I shared more insight into how to evaluate these elements here. 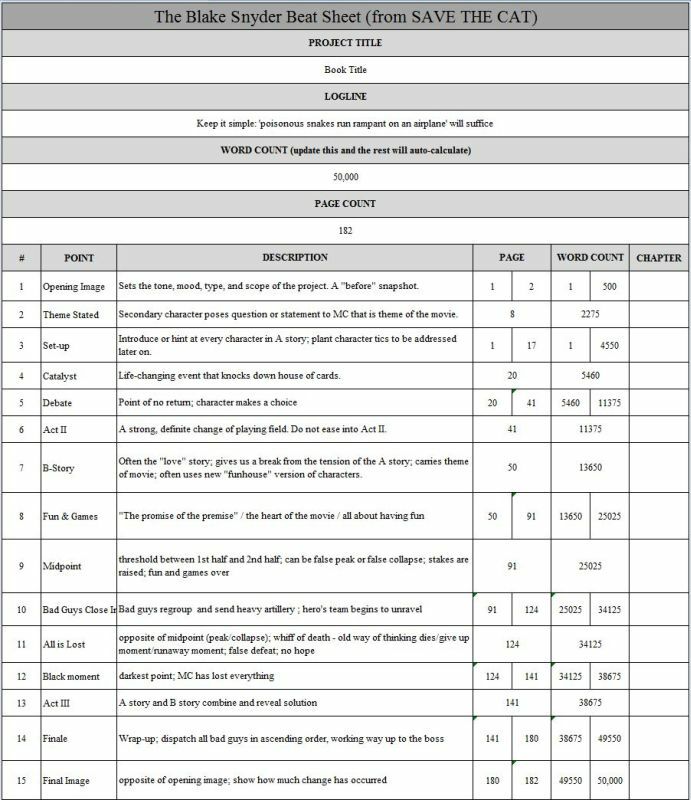 This spreadsheet covers the same scene elements as the checklist above but formats the information so we can work on multiple scenes at once. 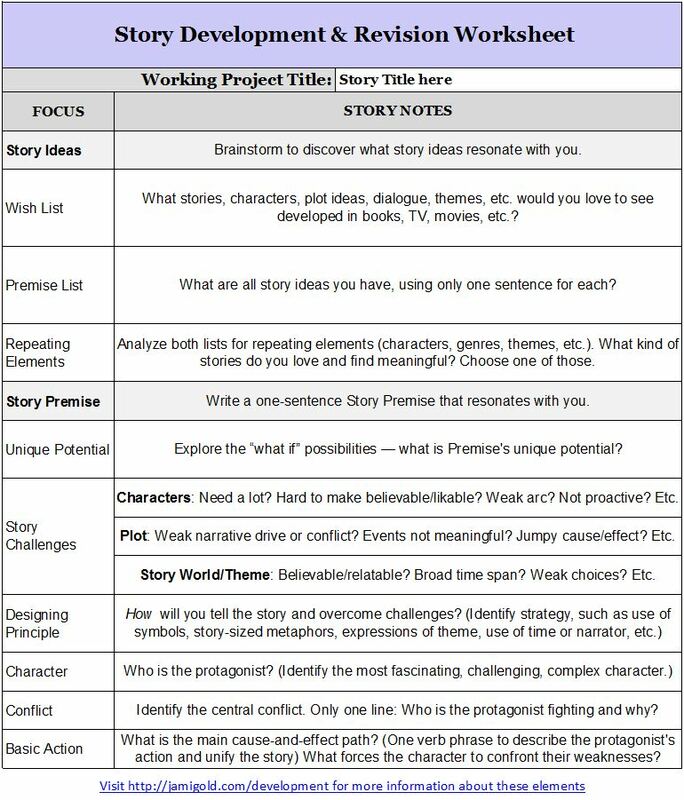 Again, this worksheet combines information from my post here and Janice Hardy’s post here, and more insights can be found here. 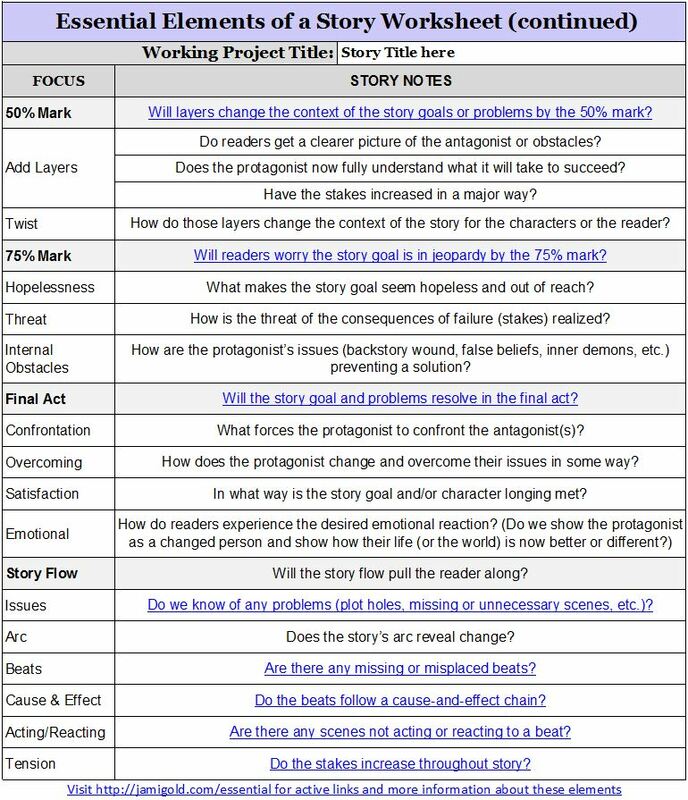 If we’ve ever wondered whether one of our completed stories contained all the essential elements or had the “bones” of a good story, this worksheet might help. If we have all these elements, we likely have a story—and not just any story, but a story that’s already strong, has a purpose and arc, and can be made even stronger by bringing out the aspects that will create resonance within readers. I discussed these elements here and here. 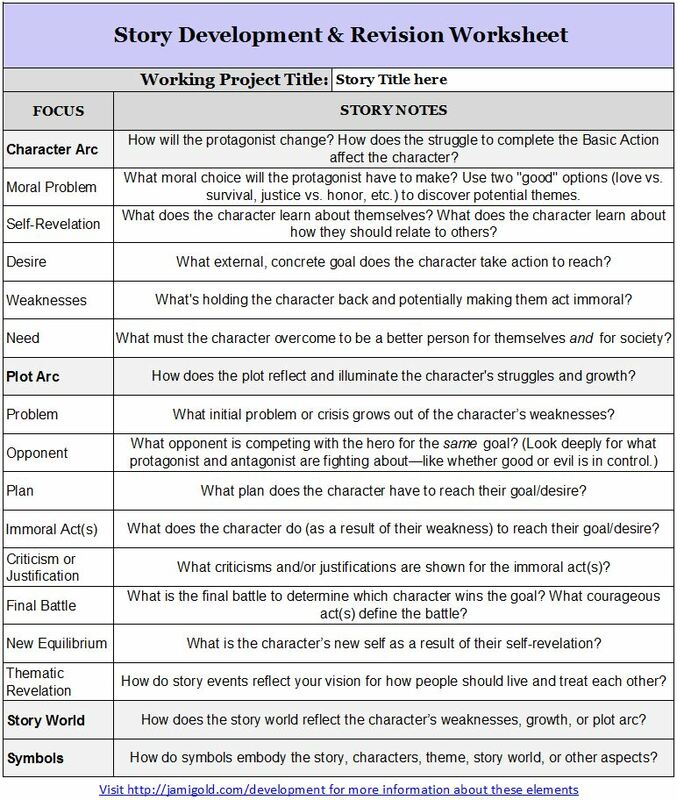 We can use the questions on this worksheet to develop our stories before drafting, or we can use the questions to more fully develop our stories, characters, and themes during revisions. For more information, check out my post introducing this worksheet and John Truby’s insights. 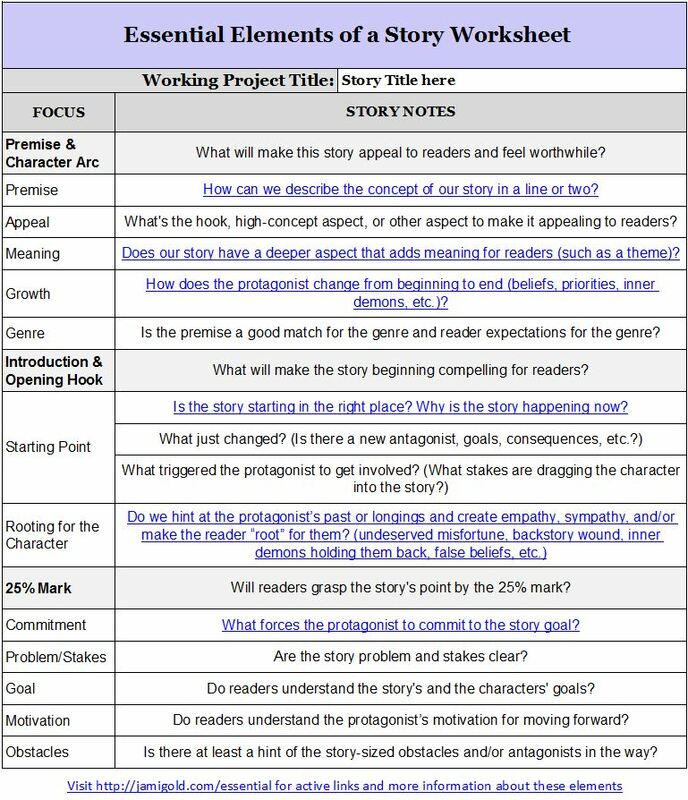 Based on the contest scoresheets used to analyze stories, I created a “master list” of points to consider when we beta read or when we ask others to beta read for us. We can use the questions on this worksheet to organize our thoughts, prompt discussions, or self-edit our work. 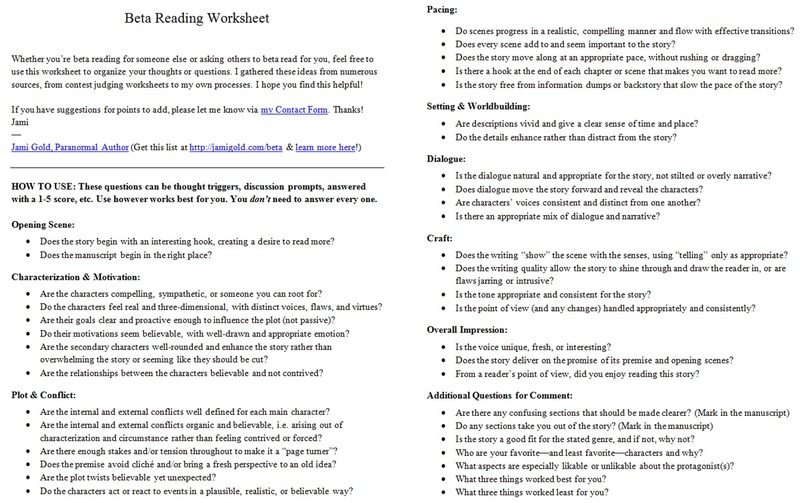 For more information, check out my post introducing this worksheet and sharing more beta reading tips. 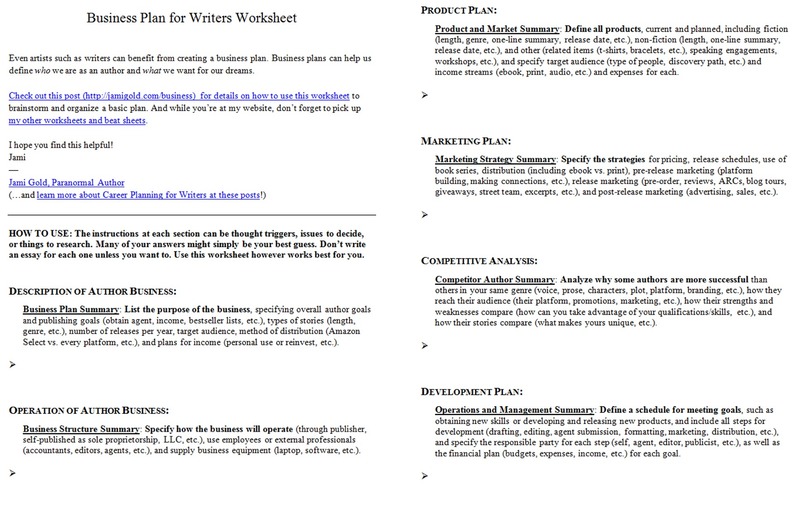 Even artists such as writers can benefit from creating a business plan. We can use the sections on this worksheet to recognize what’s important to us, brainstorm our goals, and design a plan to get from Point A to Point B while avoiding distractions. 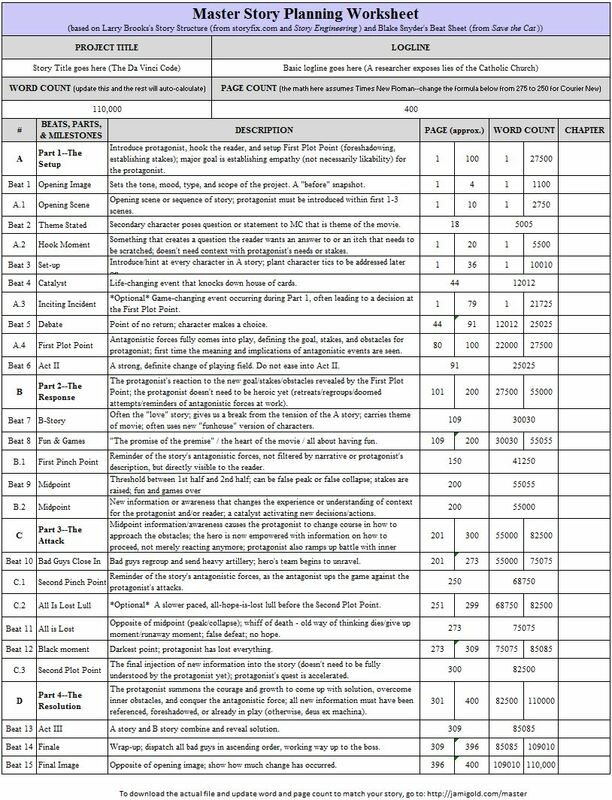 For more information, check out my post introducing this worksheet and sharing more tips on what we can include on our business plan. Use this same form and select “New Blog Posts” to receive copies of Jami’s writing-focused blog posts in your email too.